Price stayed home with his daughter for months, something that most men don't experience. Montreal Canadiens goaltender Carey Price and daughter Liv, 2. Carey Price's daughter was born two weeks after the Montreal Canadiens finished their 2016 season, which gave him an opportunity many new dads can't or don't take — to spend several months at home with his new baby, Liv. Now, the NHL goaltender is urging dads to take paternity leave so they can have the same experience. He recently teamed up with Dove Men+Care as part of their campaign to champion paternity leave globally. "It was a special time in my life. I can't believe how fast the last two years has gone by. Being able to take that time to enjoy it was definitely special for me and my wife," Price told HuffPost Canada in a phone interview. "It's important that dads take the opportunity to develop relationships with their children." Carey Price with his wife, Angela, and daughter Liv. But, for a number of reasons, Canadian men aren't taking paternity leave. While 73 per cent of Canadian men say they believe men should take equal parental leaves as women, spouses or partners of Canadian fathers take eight times more time off to care for their new child, according to a new survey commissioned by Dove Men+Care. One in four Canadian fathers took no time time off when their child was born, noted the study, which surveyed 1,530 Canadian men aged 25-54. Money is a big part of what's holding men back, with 75 per cent of Canadian fathers or fathers-to-be in the study saying they'd like to take more time off but can't or couldn't afford it. Half of Canadian fathers or fathers-to-be didn't feel comfortable asking their managers for more time off, and 28 per cent said they were afraid their co-workers would judge them. And their fears aren't without merit. 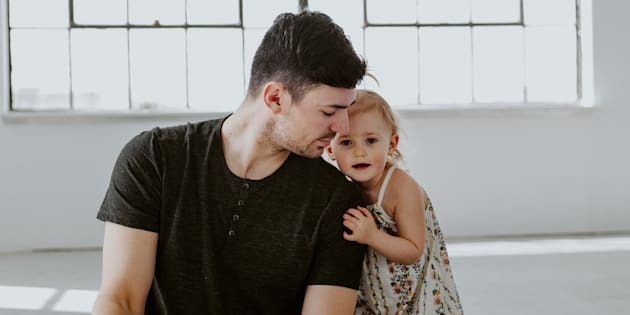 Fathers who take on caregiving roles face more workplace harassment and mistreatment than "traditional" fathers and men without children, according to research from the University of Toronto's Rotman School of Management. In 2017, Canadian Glen Wood filed a lawsuit against the Japanese company he alleges harassed him for taking paternity leave to the point that he became depressed and had to go on medical leave. He was officially dismissed from his job in Japan earlier this year. 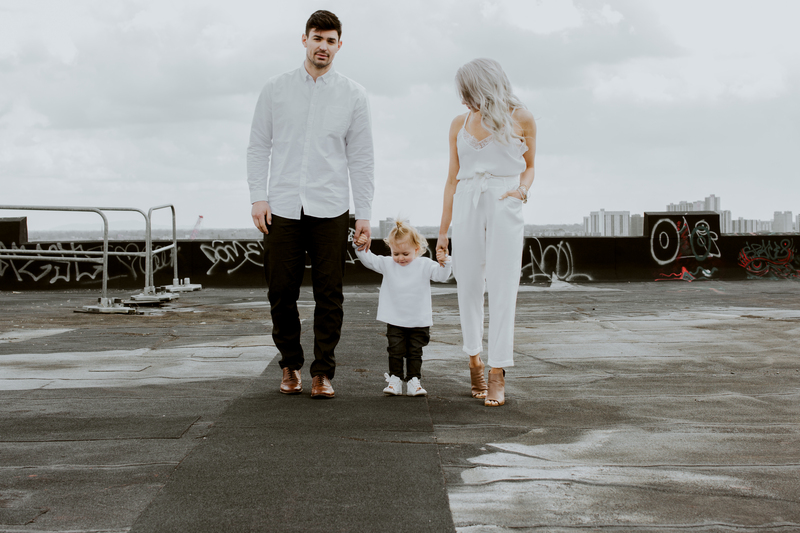 While Canada has updated its parental leave policies to encourage parents (especially dads or partners) to take more time off work, stigmas remain. In its new campaign, Dove Men+Care encourages men to challenge those stigmas. Price acknowledges that men face judgment about gender roles, as well as a financial burden if they don't have paid paternity leave. But it's so important to be there — not just for your child, but for your partner, he said. "It's a trying time for a family. Especially for women. There's a demand physically, and mentally, and emotionally. Having dad there as a support system definitely makes a big difference," Price said. "Early stages was breastfeeding for us, so my role was a little bit limited, but I helped out wherever I could." Price says his role has developed as Liv, now 2, has gotten older. "To interact with her as she gets older has been special, especially as I develop a father-daughter relationship with her. I feel like over the past year especially that's grown ten-fold because she's not as mom-dependent." 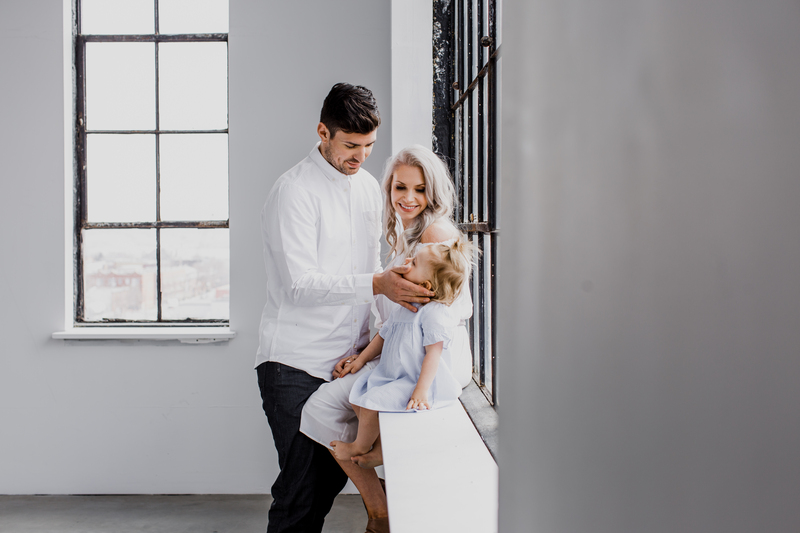 Montreal Canadiens goaltender Carey Price with daughter Liv, 2, and his wife Angela. While some aspects of parenting have come easily to Price (Liv is a great baby, he says), others have been more difficult. "Sleep has been the biggest challenge," Price said, adding that Liv still sometimes wakes up several times a night. On top of sticking to a schedule and a consistent night-time routine, Price offers up his best trick to other sleep-deprived dads: "Coffee," he said with a laugh. But also, just enjoy the moment, as cliché as it sounds, Price said. "Try and enjoy every moment that you get. Even the hard ones. You have to find a way to understand that this is a short period in the life of your child, and it's part of the experience and something you're going to laugh at when you move onto the next important stage of their life."